Prominent & Leading Manufacturer from Mumbai, we offer intraoral dlx plus cameras, intraoral cdm camera, dental endoscope camera, memory intraoral camera, high resolution intra oral camera and dental intra oral camera. For our esteemed clients based across the country, we assemble a premium collection of Intraoral Camera (DLX Plus).This a truly autofocus, anti-fog camera in the real sense.The probe size of the camera is also quite small. Can be attached to laptop or p.c. With our in-depth knowledge and experience, we are engaged in offering a vast array of Intraoral Camera. for our esteemed clients based across the country, we assemble a premium collection of dental endoscope camera. This a truly autofocus, anti-fog camera in the real sense. The probe size of the camera is also quite small. 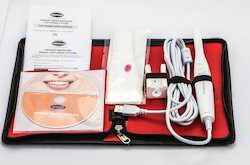 can be attached to laptop or p. C.
We are a popular company in this business and are engaged in presenting Memory Intraoral Camera. For our esteemed clients based across the country, we assemble a premium collection of High Resolution Intra Oral Camera. This a truly autofocus, anti-fog camera in the real sense. The probe size of the camera is also quite small. For our esteemed clients based across the country, we assemble a premium collection of Dental Intra Oral Camera.This a truly autofocus, anti-fog camera in the real sense.The probe size of the camera is also quite small. 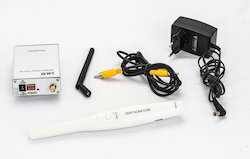 For our esteemed clients based across the country, we assemble a premium collection of USB Dental Oral Camera.This a truly autofocus, anti-fog camera in the real sense.The probe size of the camera is also quite small. Dentacam SD Memory Camera is used to freeze and capture images directly on TV or computers. Sourced from reliable partners, these are offered with inbuilt SD cards. 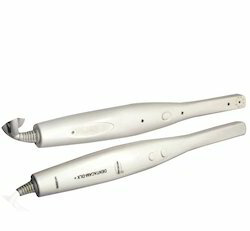 These are simple to use and are offered at economical prices. Intra Oral Camera -model 'DENTACAM LM' that we source and offer to clients are unique in nature. Based on latest technology, these are simple to use and can be used with TV monitor. Using these cameras, any part of the mouth can be clearly checked and shown to the patient.This camera model has limited memory storage which can retrieved on the TV monitor any time. Can be attached to T.V. P.C.Compatible with the tuner card. 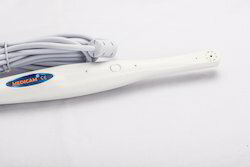 Intra Oral Dental Camera is a unique, user-friendly camera available for dentists at a very affordable cost. The functions of this camera are so simple that you can just plug and view the camera on P.C Or laptop. It does not require any external power supply. Any part of the mouth is clearly visible through this device and can be shown to the patient. This camera comes with a simple software and freezing switch.